Lay the foundation for your clients with a G.J. Gardner custom home. 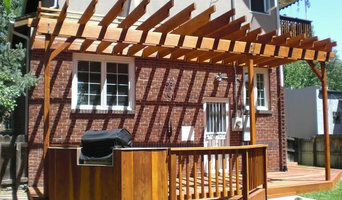 Unlike other home builders, we bring flexibility to the design process. If your clients already have a design in mind, we’ll get the blueprints started. Or if they need some inspiration, they can customize one of our layouts to fit exactly what they’re looking for. And we make sure you get the best value by working with local builders who use only top quality products. So build a home, not a house, with G.J. Gardner. 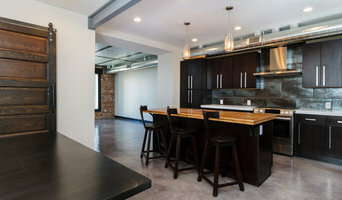 WestStandard is a Denver, Colorado based Architecture, Planning and Interiors Firm focused on creating memorable, dynamic, spaces and places that perform. Our Design services work together in an integrative process from the beginning to deliver the visionary projects our clients want based their performance and economic goals. Denver Exclusive Residential Design Firm Best of Houzz 2013-2018! DesignDiva 5280 has been Colorado’s premier interior design firm for more than 19 years. My unique design process will help you complete your space with details that reflect your unique personality and style. I turn the average into extraordinary. As an expert in all areas of interior design I offer services in space planning, textiles, color and material selection, furniture, lighting design and window coverings. I like to create a "Design Roadmap" for my clients so they can see where we area headed and be a part of the process. My belief is a well designed space has elements of openness, calm, warmth and timelessness resulting in spaces that are exciting and always inviting. My creative and appropriate design solutions are clearly documented for ease of specification and/or procurement. DesignDiva 5280…creating interiors for your lifestyle. Clutch Design Studio is on a mission to create incredible additions to the built environment. Our approach combines innovation with human experience to create lasting value for our clients, community and the environment. We never take anything at face value. Instead we ask: What more can architecture do? How can design improve the way we work, move, live, connect? How can ideas be abstracted to better serve our clients? Our community? Our shared environment? Armed with decades of experience and a commitment to excellence, our team channels creative ideas into elegant solutions. The collaborative process unfolds innovative, adaptive ideas that maximize the value in design. From how projects look to how they are made, how they function to how they age, each decision underscores a value-driven, human-centered ethos. Together, we are cultivating meaningful connections between human, place and environment. 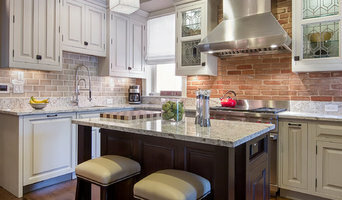 Kreative Kitchens and Baths is a full service design/build remodeling firm. We specialize in high-end kitchens and baths and we have the experience and knowledge to design and manage any kitchen or bath project. By definition, the word “custom” means “made especially for individual customers”, which is exactly what we deliver to our valued clients. You see, we provide custom design, consultation, kitchen and bathroom cabinetry and craftsmanship on every level. By working with us, you will engage in a process that has been proven over many years and countless successful projects, and it is our pleasure to explain our process to you in detail. By taking the time to educate our clients and set realistic expectations, you are able to make better, more informed decisions toward a common goal and we understand, like you that these decisions cost time and money. We are here to serve you and to design your custom space together. Schedule an appointment to have a no cost consultation on your remodel project! We represent several lines of cabinetry including: Mid-Continent Cabinetry, Dura Supreme, Master Craft, and Aristokraft.